You can expect us to work tirelessly to provide you with exceptional service and outstanding legal representation. Whether you are being charged with a felony or just want to update your will, you can depend on us to be there for you. Derive peace of mind knowing that you are being represented by experienced and knowledgeable attorneys. Contact us today! If you have been injured in a situation that could have been avoided or prevented entirely, don't hesitate a moment longer. Contact us immediately. You can rely on our tenacious attorneys to stand up for you. Let us help you shoulder the burden A serious, unexpected injury puts a large amount of stress and pressure on you, your family, and other loved ones. You don't have to go through it all alone. Put your trust in our diligent law professionals to support you every step of the way. You can depend on us to help you formulate an action plan that is appropriate to your situation. For over fifty years our firm has been committed to fighting for individuals that have been catastrophically injured or lost a loved one due to negligence. Our firm's founder recognized that real people need help fighting insurance companies and corporate interests. Our calling in the beginning was to help clients level the playing field and get what they deserve. That philosophy continues to this day. Since the early days of our practice, we have expanded to include complex criminal defense and family law matters. We see people who are hurt, lost a loved one, facing the loss of their freedom, or enduring family disputes. It is that time in life when someone is most in need of strong, compassionate, aggressive representation. We provide what is needed so individuals can be made whole financially and emotionally. It is our philosophy to represent the whole person, one on one, lawyer to client in a their time of greatest need. Our lawyers are simply the best litigators in East Texas. They are graduates of Baylor Law School, the finest advocacy school in the nation, and have over 75 years of combined litigation experience. In court, our verdicts have been reported numerous times in the regional and national media. We understand that our job is to win, and over the years we have developed a track record of impressive results. Whether it be the highest injury verdict in the district or a widely reported not guilty verdict in a murder case, we deliver. Our lawyers hold board certifications in Personal Injury Trial Law and Civil Trial Advocacy. Each year they exceed the number of educational hours required by the State Bar in order to stay abreast of the constantly changing fields of law in the areas that they serve. Finally, preparation and intensity is the key to court room success. When your case comes to trial, you can be assured that our lawyers are ready and fully prepared to fight for you. While we offer the best and most modern litigation services available, it is our goal to always be a lawyer to client institution. In other words, we want our clients to have a relationship with the lawyer representing them. You won't be forced to talk to a secretary. You will have your lawyers cell phone and home contact information. It is our goal to always be available to answer questions and provide encouragement in a difficult time. That makes our firm different, and we like it that way. William McDowell is a partner with the law firm of Smith, McDowell, Ginn in Sulphur Springs. He is admitted to practice before the United Sates Supreme Court, The United States Court of Appeals for the Fifth Circuit, The United States District Court for the Eastern District of Texas and the Texas Supreme Court. He served as a past President of the Hopkins County Bar Association and served on the District 1A Grievance committee for the State Bar of Texas. He is a Life Fellow of the Texas Bar Foundation. His practice includes Social Security Disability law, Personal Injury, Family Law, Real Estate, Estates, and civil litigation. Mr. McDowell lives in Sulphur Springs, Texas and he and his wife have three grown children and seven grand children. 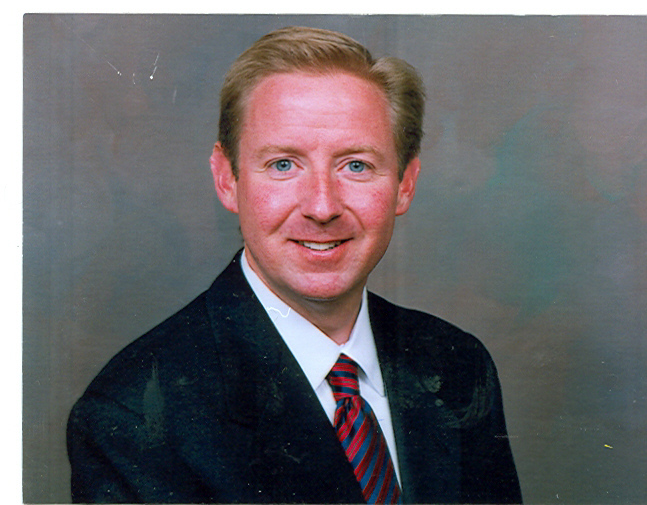 John C. Ginn is a partner with the law firm of Smith, McDowell, Ginn in Sulphur Springs. He has a general personal injury practice and is Board Certified by the Texas Board of Legal Specialization in Personal Injury Trial Law and by the National Board of Trial Advocacy as a Civil Trial Advocate. He has served as chairman of the District 1A Grievance Committee and is a past member of the Professionalism Committee of the State Bar of Texas. He is a member of the American Board of Trial Advocates and formerly served as a director of the Texas Trial Lawyers Association. He has been named to the top 100 trial attorneys in the state by The National Trial Lawyers for every year since 2012 to the present and has been named a Super Lawyer in Texas Monthly magazine for the past 13 consecutive years. He has also received an AV Preeminent Rating by Martindale-Hubble. As a graduate of Baylor University School of Law, he served as President of the Baylor Law Alumni Association in 2012-2013. His practice includes catastrophic injury and death cases as well as complex criminal and family law litigation. He is responsible for the largest injury jury verdicts in both Lamar County and Hopkins County history. In addition, he has several noteworthy criminal defense "Not Guilty" verdicts in both State and Federal Court. Several of Mr. Ginn's case results have received statewide and national news coverage. He lives in Sulphur Springs, Texas and he and his wife have three grown children.